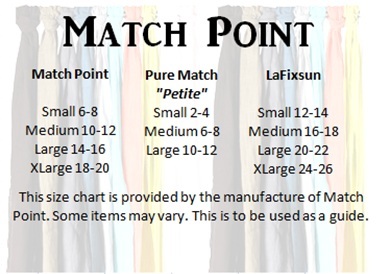 Match Point items below that style numbers begin with LP or HLP will fall under the "Match Point" sizes in the first column of this chart. 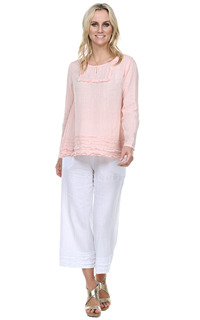 Items that begin with PLP will fall under the "Pure Match" sizes in the middle column of this chart. 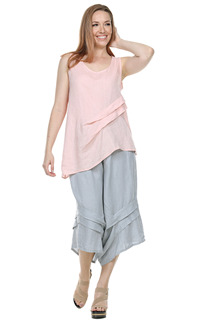 Multi band elastic waist capri pants with drawstring tie up sides with ruffle hems. 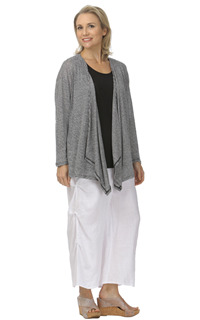 Three tired wide leg capri pants. 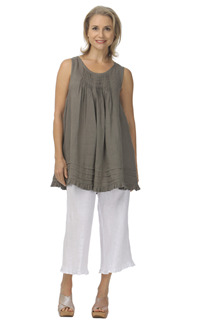 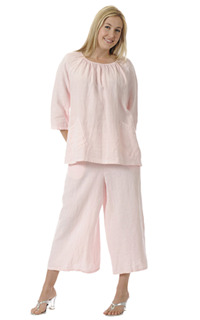 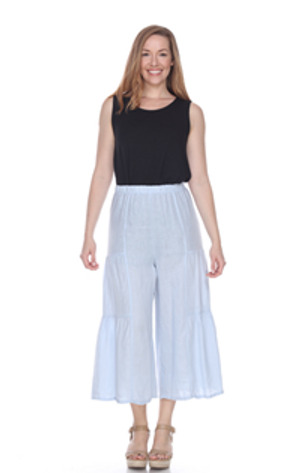 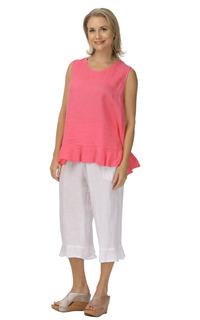 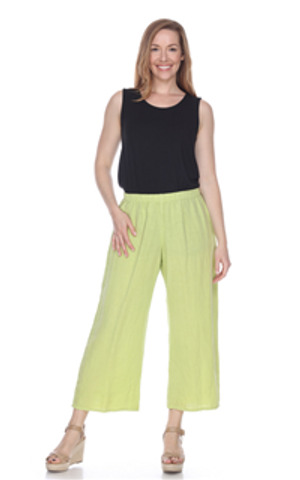 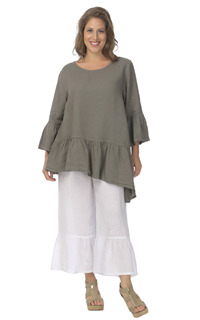 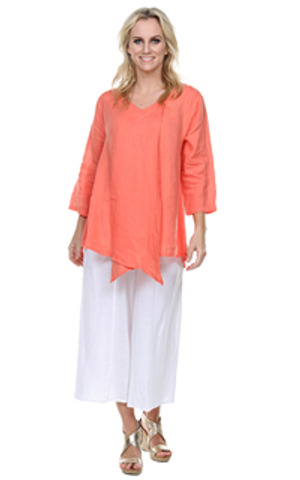 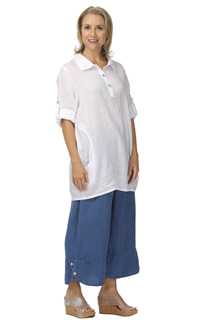 Elastic waist, wide leg, paneled capri pants. 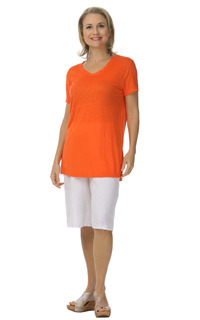 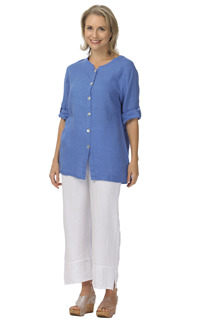 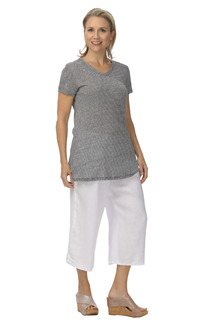 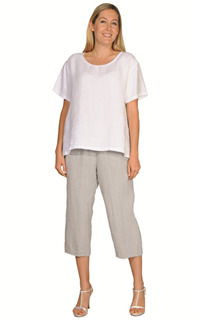 Capri pants with drawstring bottom hem.